The other day I randomly got into a conversation with two guys. It turned out that they were Bedouin, working for the Ministry of Defense and living in Tel Aviv. Soon our discussion turned political when I referred to Israel's Arab population as Palestinians. "They are living in Israel, why do you call them Palestinian?" From there we soon ended up discussing the foundations and the general character of the Israeli state, with them trying to convince me that Israel was a good state, and that also as Bedouin they were much better off in Israel than in other countries. "What about the 30,000 Bedouin living in the unrecognised villages in the Negev and the plans to displace and resettle them against their will?" I asked them. They insisted it was the current government that was to blame, not the Israeli state as a whole. I started feeling uncomfortable and patronising in my position as a privileged Ashkenazi, i.e. white Jewish citizen trying to convince them that the State of Israel would never treat them as equal and was in fact using them, so I eventually ended the conversation, suggesting them to discuss the issue with some Palestinian friends of mine in order to see their perspective on those issues. And yet, I kept on pondering about our discussion and the way that even some of the most underprivileged people, living the inequalities and experiencing the discrimination against their communities, could be turned into good patriots, ready to enlist in the army, to fight for a country that will never fully accept them because of their ethnic and religious background. Although they are still not compelled to enlist in the Israeli army and its subdivisions, some 1,655 Bedouin are in active service according to Israel's Institute for National Security Studies. Like the two guys I met, an estimated two thirds of those serving, stem from the communities living in the north of Israel, a notion which already hints at the fact that the approximately 260,000 Bedouin living in the State of Israel are historically, culturally, politically and socio-economically a very heterogeneous group. Already before the formation of the Jewish State many Bedouin living in Palestine refrained from joining the emerging Palestinian Arab national movement as they perceived their respective community as their primary focus of identification, rather than a pan- Arab or Palestinian identity. Especially in the north, some Bedouin communities joined the side of the Zionist movement and helped to defend Jewish communities already during some of the clashes preceding the war of 1948. 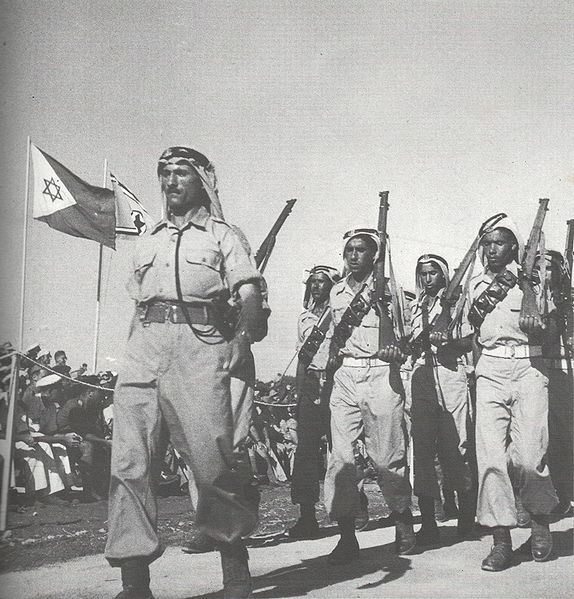 In 1946 Sheikh Hussein Muhammad Ali Abu Yussef of the northern al-Heib Bedouin sent more than 60 of his men to fight with the Zionists forces and thereby formed the Pal-Heib Unit of the Haganah, the Jewish paramilitary organisation which would later become the IDF. In 1948 the same unit would form part of those Bedouin defending the Jewish settlements against the invasion by Arab armies. As a consequence many of the Bedouin communities in the north were spared from attacks by the Haganah during the same war. The Bedouin of the Naqab/Negev however, sided mainly with the Arab side and out of the 70,000 who had lived in the area before 1948, only 11,000-18,000 remained. The overwhelming majority of this population was thus forcefully expelled, fled or relocated to surrounding areas. In the aftermath of the foundation of the State of Israel the differences between the northern and southern Bedouin communities in Israel continued and even aggravated. As outlined in a different article on this blog, the approximately 160,000 Bedouin living in the Naqab now constitute the most disadvantaged citizens in Israel and are locked in a continuous struggle with the state. Most recently with the controversial Prawer-Begin Plan, the Israeli government is planning to evict 30,000 Bedouin, to demolish their unrecognised villages and to forcefully relocate them in Bedouin towns. It is thus not surprising that a considerably smaller number of the are willing to enlist in the army. 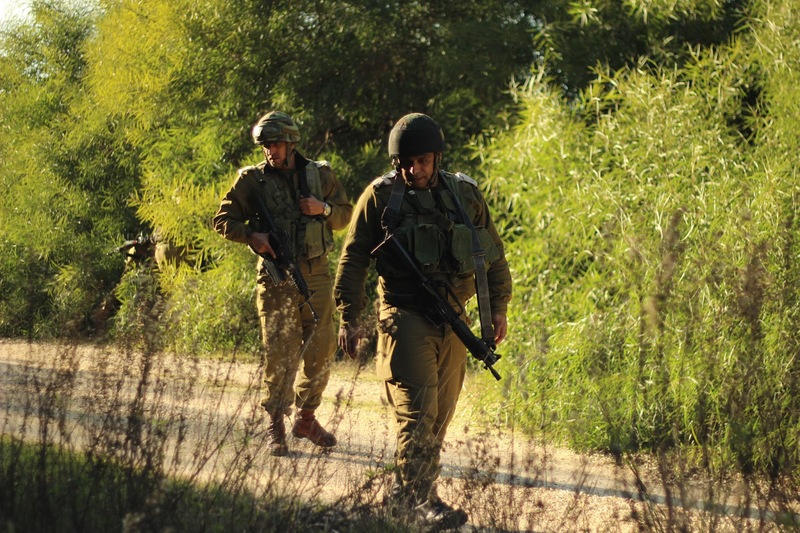 Druze and Bedouin are seen as more trustworthy than other Arabs living in Israel and yet, their experience in the Israeli military has always been characterised by "a gap of distrust and a view of Druze and Bedouins as a potential Arab 'Trojan Horse'". For a long time they were therefore placed in segregated units under Jewish officer command, denied participation in Israeli-Arab war combat, and limited in rank. Only in 1991 all units were declared open to them, however the vast majority of the so called minority soldiers continue to serve in segregated units. The notion of the Israeli army as a huge melting pot cross-cutting through class and ethnic background does thus clearly only apply to the Jewish population. 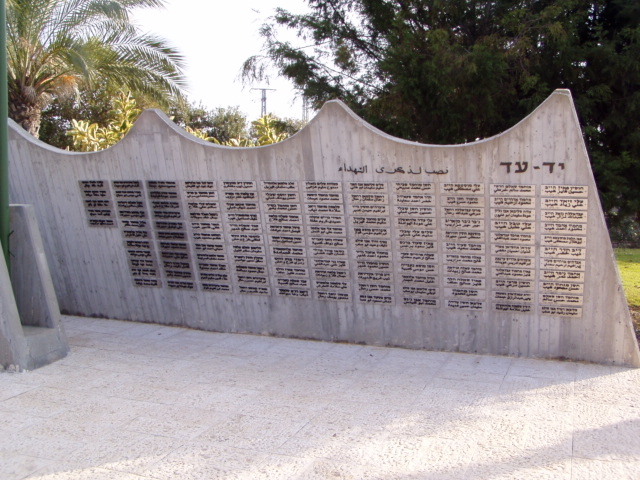 Rhoda Kanaane argues that the Israeli army is organised along ethnic lines, which is illustrated by vacancies designated exclusively for Bedouin, benefits such as the Bedouin education military track, special memorials for fallen Bedouin and Druze soldiers, as well as the absence of Arabs in the highest ranks of the military. Bedouin commonly serve in tracker units which are predominantly operating alongside Israel's northern and southern borders. They are supposed to detect infiltrators, ranging from assumed terrorists to drug smugglers. While some take pride in their status as soldiers or border police, or see it as a possibility to integrate themselves better into Israeli society, the vast majority of Bedouin see soldiering as an economic opportunity and a way to improve their living standards. The benefits of serving in the army, from which the great majority of Israel's Arab minority is excluded, are considerable and include among others a regular pay check, tax breaks, increased child allowances, easier loans, educational grants, and an early and comfortable pension (for career soldiers). While the standard of living of the northern communities is much better than that in the south, also the Bedouin in the north are nor spared from discriminatory policies and land expropriation by the state. The feed back that Bedouin soldiers receive from their own communities is therefore very mixed to say the least, and many hold that it is still better to be poor and honorable than to be economically better off and a traitor. It is indeed more than questionable whether the IDF, as a highly ethnically stratified institution, could possibly be the medium to improve the situation of those "minority soldiers" and make them equal to their Jewish Israeli comrades. To learn more about the life of Bedouin communities, join one of our weekly tours to the Naqab and the West Bank. For more infomation click here. what makes you so sure , that just and only your opinion is right and these " poor " Bedouins are completely misleaded ?? I red your article and I have to tell you that also the point of the 2 men is understandable and logic ! If you are frustrated about this 2 class society , which is resulting from much more reasons than mentioned by you , so the solution could be to help improve social life in these societies . There are a lot of organisations which you can join ! But please : don't write articles about 2 men from the bedouin society , which are satisfied living in our state and doing their duty - trying to concince them , that they shouldn't . First of all, in none of my articles I ever claim that my opinion is the only valid one and I also don't consider the Bedouin as "poor", yet status wise, as an Ashkenazi Jew I'm obviously more privileged than they are and neither you nor I have the right to talk for them, I don't thing you can deny that. What makes you so convinced that they live "a satisfied life", as you say? Already your choice of words of "living in our state" places them outside of it. Generally I do not see what's wrong about writing an article about this topic, and expressing my opinion. Why are you so bothered by that? And just so you know, apart from writing articles, I am also an activist engaged in other projects aiming to change the reality in this place. Miri: I'm not trying to offend you but your ignorance is astounding. First, as an Ashkenazi you are no more "white" than any other Jew. Ashkenazi often have dark complexions and Sephardic and Mizrachi often have light complexions. "White Privelege" is only something someone raised in the West would say. Leave your obsession with race in the country you came from. We don't need it and we sure don't want it, "we" being the majority of Israelis who could not care less about such stupid trivial issues. Now, as for the Bedouin, you are correct that they are not a homogenous group. The Bedouin living in different parts of Israwl all have different cultural and socio-political- and yes, socio-economic outlooks. In the Negev, of the six tribal confederations, only the Tarabin arrived in the 1870s, the other 5 were not well established until the early 20th Century. In other words, not one is indigenous. 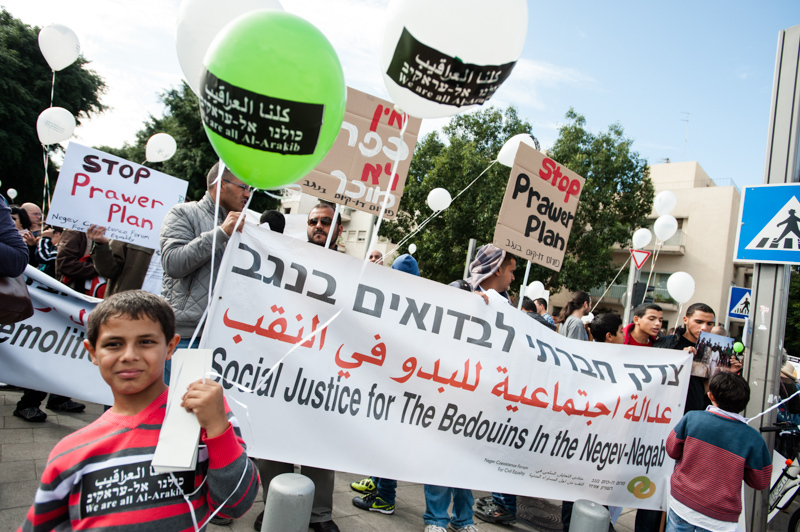 Since the Bedouin arrived they have been subjected to Sedentarisation schemes. From 1870 to 1890 the Mutasarrif in Jerusalem (District Superintendent) launched 4 such schemes. The 5th scheme, beginning in 1894 involved creating Bedouin-dedicated municipalities, with 9 being created between 1896 and 1906 (including Be'er Sheva). Even when offered residential lots free of charge they generally refused. Even when title-deed schemes were offered, as in 1906 by the Mutasarrif where Mawat Land was offered for conversion to Miri Land, the Bedouin refused ("Mawat being the Ottoman classification for state lands with no particular value, "Miri" being state land with rights of usage for agricultural exploitation. Conversion from Mawat to Miri involved a fee and thereafter, annual taxes). Therefore, the Ottoman entered the British Era, at the very end of 1917, not owning anything but a few residential lots in Be'er Sheva that had been given free of charge to paramount confederantional chiefs. The British, beginning in 1920, themselves engaged in Sedentarisation schemes. In 1921 they ordered the entire Mandate to register any state lands being expolited in a process geared towards private ownership. Even when the Negev Bedouin were given an extra 2 months they still did not register a single parcel. In 1928 more restrictions over state lands were implemented so that anyone squatting in unregistered encampments was now a criminal. Even with this development the Bedouin still refused to register any land. Blaming Israel for the problems od minority populations is childish and indeed can be viewed as racist in its underlying assumption that Bedouin cannot thrive in modern society. The "White Man's Burden" was never smart thinking. Socio-economically, Bedouin fail to thrive for cultural reasons relating to a disdain for formal education, a reluctance for nearly 40% of the demographic to live within a commutable distance to extant manufacturing and other bluecollar job opportunities. Having a fertility rate above 5, twice as high as sedentary Israeli Arabs, Druze and Jews also complicates things, especially when polygamy is still widely practiced. Having three wives, with the average nuclear family being between 18 and 21 people hinders economic progress. In Israel Income Tax rates are set at the municipal level and vary widely in rates. A Negev Jew pays, on a per capita basis, an average 1.94 US, while a Negev Bedouin only pays 0.57 US (27% that of the average Jew). The Government allocates, on a per capita basis, 2.37 US for Negev Bedouin, whereas for Jews it is a mere 2.00 US. In terms of the social welfare net, the Interior Ministry allocates, on a per capita basis, 1.16 US per Negev Bedouin, but for Jews, only 0.64 US. Clearly the Government has done its part- and is continuing to do its part in alleviating the depressed condition amongst the Negev Bedouin. It is high time that the Bedouin step up to the plate and start helping themselves. Blackness and Whiteness are not physical descriptions, just like "race" itself, they are social constructs. Unfortunately they continue to matter in our society, and people are being discriminated on the base of their supposed ethnic, cultural or religious background, their appearance, their accent etc. Just a basic example: do you really think it's a coincidence that the Ashkenazim in this country are still much better off economically than the Mizrahim? Not to mention all the other groups which are on even lower ranks. As for the Bedouin, I find your text full of contradictions, on the one hand it is racist to blame Israel for the problems of its minority populations "in its underlying assumption that Bedouin cannot thrive in modern society", at the same time they "fail to thrive for cultural reasons", which is an utmost racist statement in itself and totally contradicts the previous sentence.. I guess we just have to agree to disagree. .